Unbeknownst to the average patient, the care we receive from our doctors says relatively little about our overall health. The answer is not found in our genetic makeup, either. The single largest determinant of health, comprising 60% of the puzzle that is a healthy body, is based on social factors. Indeed, our access to stable employment, education, safe housing, nutritious food, and a life free from crime and violence are all key to staying healthy. This is anything but news to the public health community. The World Health Organization (WHO) established the Commission on Social Determinants of Health (CSDH) in 2005 for the explicit purpose of giving “support in tackling the social causes of poor health and avoidable health inequalities.” However, despite a robust body of research stressing the significance of social determinants of health (SDoH), as well as increasing attention from policymakers and public health leaders, the private healthcare sector in the United States has been slow to take action. 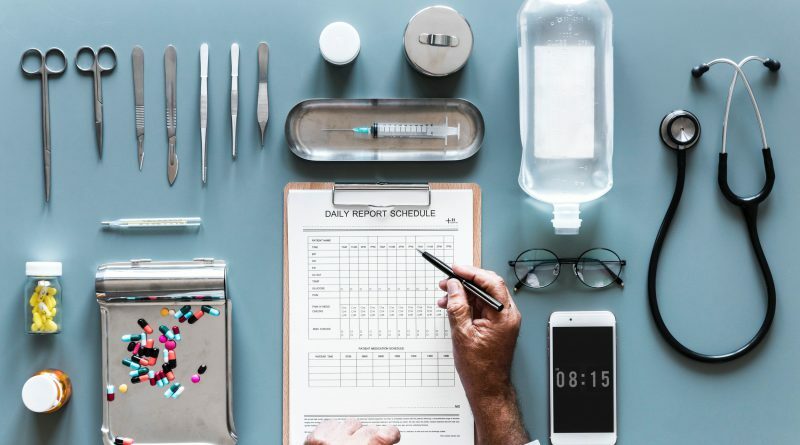 According to a recent survey of 500 physicians from the American Academy of Family Physicians (AAFP), 80% of respondents reported that they do not have time to discuss SDoH factors with patients during routine visits. Furthermore, 64% of respondents do not believe they have the resources or tools to mitigate these risk factors even if they were uncovered, and 56% feel they are unable to provide meaningful solutions to SDoH circumstances. This should come as no surprise. The healthcare provider system as we know it is ill-equipped to address social needs such as housing and transportation because the expectation has always been that this need will be satisfied by supplemental community services. The few primary care providers who have attempted to screen patients for SDoH risk factors have seen some success. A study conducted by the University of New Mexico, in which patients from three family practices were screened across eleven SDoH dimensions, revealed that most physicians were unaware of their patients’ social needs. Once this information became available, medical assistants were able to connect patients with community health workers (CHW); this ultimately lightened the load of the physician and resulted in a “greater ease of practice and greater confidence that patients were receiving quality care.” While physicians are trained to treat the medical needs of their patients, and in fact, this is where their skilled energy is most useful, family clinics have a unique opportunity to screen for SDoH and connect patients to resources that will improve health outcomes in the long term. There is another player in the healthcare private sector who has much to gain from addressing SDoH: insurance companies. When organizations assume the financial risk of providing health care coverage to vulnerable populations, as is the case with managed care plans, they are greatly incentivized to improve the health outcomes of their members. By engaging CHW in the medical model, creating opportunities for risk factors such as food and housing insecurity to be addressed, Managed Care Organizations (MCO) can realize up to a 26% decrease in emergency spending and 53% decrease in inpatient spending. This is felt most acutely by for-profit organizations who are playing in the Medicaid market. As a program, Medicaid exists to serve vulnerable populations with complex medical and social needs, but individuals who qualify are not always aware of how to best engage in the health care services that are available to them. Medicaid patients have disproportionately high rates of hospital utilization for conditions that could have been prevented or treated through a more cost-effective channel (i.e., primary care). This is particularly notable in the homeless segment of the Medicaid population. A study published in the American Journal of Public Health in 2013 showed that homeless individuals carry high disease burdens – resulting from both chronic diseases and mental illness. The lack of resources available to the homeless community has resulted in exceptionally high hospital utilization rates: on average, homeless individuals visit the ED four times annually and are hospitalized at least once a year. Since the 1990s, states have increasingly embraced managed care Medicaid plans. Under this model, MCOs and large insurance companies receive a fixed payment from the state for covering Medicaid lives and then bear the financial responsibility for all medical expenses incurred by the individual. Here we see an incentive for MCOs to provide wrap-around services to the Medicaid individual, particularly in the area of SDoH, to reduce the long-term financial burden they may have on the healthcare system. To improve health care in the United States, specifically among our most vulnerable populations, we need a wholistic approach – one in which providers and payers partner with the community to meaningfully address social determinants. Payers should be incentivized financially to care for the long-term health of their members. With this incentive in place, they can use their scale and capital to collaborate with homeless shelters, food banks, social workers, and other community resources to address SDoH more successfully. In parallel, providers should leverage their unique opportunity to screen for SDoH; this information will empower the Community Health Workers to connect the right patients to the right resources. A systematic approach, where government, non-profit organizations, providers, and payers are aligned on the impact social determinants have on long-term health, will be key to ensuring health care equity going forward. Tamra Downing is a dual-degree student pursuing a Master in Business Administration and Master in Public Health at the Tuck School of Business at Dartmouth and The Dartmouth Institute. As a previous consultant at Deloitte Consulting, Tamra worked on the Affordable Care Act rollout and technology implementation in Kentucky. This summer, Tamra will be an intern for United Healthcare’s Medicaid plan in Kansas covering three rural counties in the Southwest region of the state.